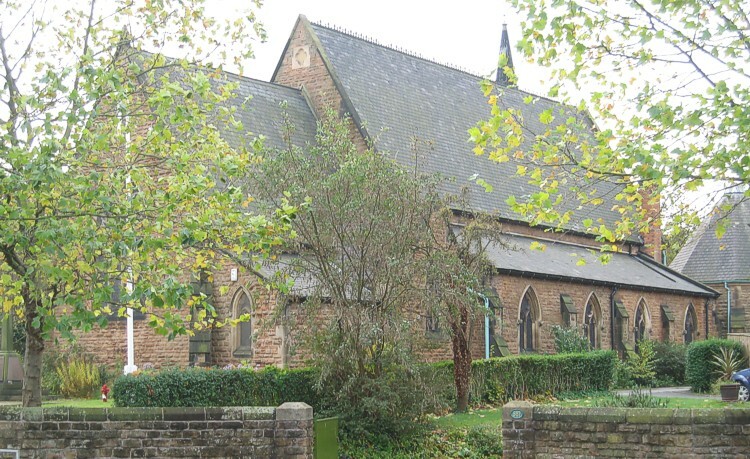 The church was built in 1855-56 as a chapel of ease in the parish of St Leodegarius, Basford. Prior to that a curate from Basford had taken services in a room at the Red Lion Inn, Cinderhill. The church was basically to serve the miners of Thomas North’s colliery at Babbington. The architect was T C Hine. Cinderhill did not become a separate District until 1896, after which chaplains were appointed. From 1929 its official name was ‘The District Chapelry of Christ Church Cinderhill’. The Bishop of Southwell was the Patron. Vicars were now appointed. In 2008 plans were prepared for re-ordering the church and adding a new hall. Originally the name Cinder Hill was written as two words. This form was in general use up to c1920, although not totally superseded by the one word Cinderhill until much later.